No, we are not talking about bespoke fences designed for music lovers. 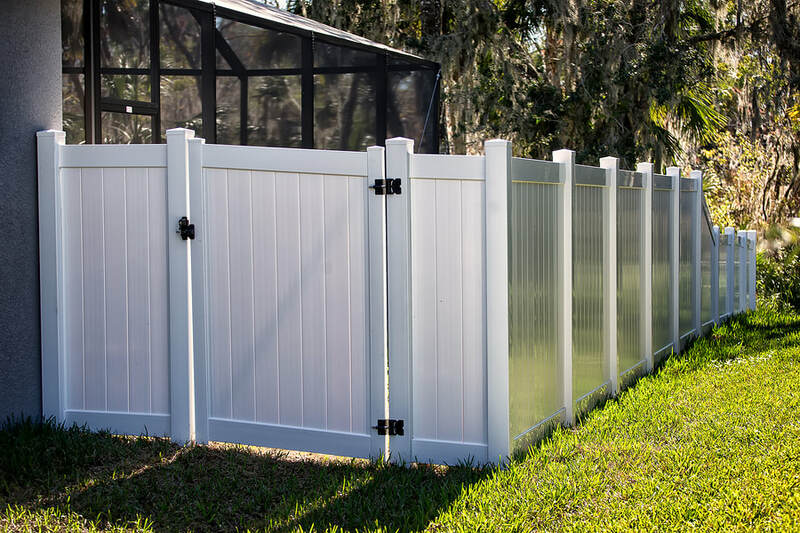 Instead, we want to introduce you to vinyl fencing, and if you already know what it is, then we want to explain a few benefits to you that you might not know about. All in all, vinyl and pool fencing is a fantastic material to use and we want to make sure that every potential customer in the Hereford area knows about it. Read through the information below and give us a call or send us an email if you want to know more. It would be our pleasure to talk you through it in person. Have you ever wondered what the different fencing options are in your town? Well, here in Hereford, you will be happy to know that we are a contractor who wants to give you all of these options without leaving you in the dark about which one is the best to pick. Our philosophy is that, if we put it all on the table, it will give our customers the best chance of satisfaction once the job is done. That is why we have all of the options on different service pages. Head to the wood page, the privacy page or picket page for them – here is where we will talk to you about the vinyl fencing option. One of the reasons why some people hesitate when it comes to vinyl fencing is because they assume that it will cost them more than their other counterparts. Though it is true that this type of fencing might be a bit more expensive depending on the costs of wood right now, we believe that the positives might well outweigh the negatives over time. That is what the professional consensus is. Here, we are essentially talking about lifetime guarantee, which is something that you should definitely think about if you plan on staying in your home for the long run. As a company, we are geared up to helping you out from point A to point Z. What we mean by this is that we are ready to help from the moment you get in contact for a service right up until we have left you with a new fence, fully installed and a big smile on your face after a great service well done. Get in touch today!